I just integrated the latest TeeChart DLL to my project. Along with the new DLLI get this "new" Licensing stuff you changed. However, I made it work. But I had to set the option "copy to project output" to copy always/copy if newer. Only with this method it works. 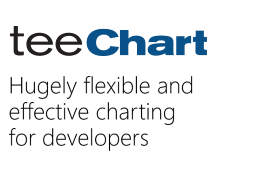 So my question: The EXE I publish to my customer will now always need this file "TeeChart.licenses"? Are you sure? I was very lucky I packed every DLL with fody/costura into my EXE to have only one file left and now I will need another one? The question is: why does this not work in your case? In order to understand why it doesn't work in your case I will need to be able to reproduce this issue here - could you please send me a Windows Forms project in which using TeeChart.licenses as an Embedded Resource does not work? Or maybe you could give me a detailed description of how to reproduce your problem here? we have a WPF Solution, not a WinForms Solution. Does this make a difference?